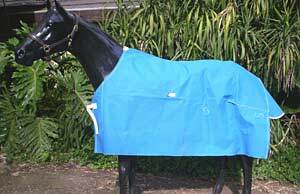 This is a breathable Tearstop polyester / cotton fabric made here in Australia, its the best 12oz available, It comes in a range of colors, our most popular is the blue or green. 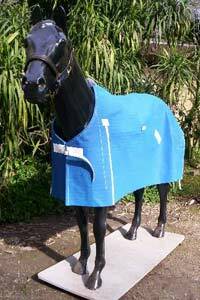 It comes with a 1metre drop, PVC Front fittings, wither protector, reinforced neck, polypropelene legstraps with strong stainless steel metal clips and d's, neck/hood d's, rump darts and a generous tail flap. 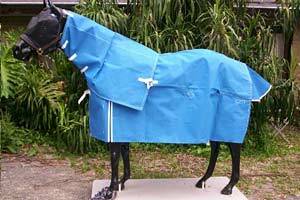 This is a breathable Tearstop polyester cotton fabric made here in Australia, its the best 15oz available, It comes in a range of colors, our most popular is the blue or green. 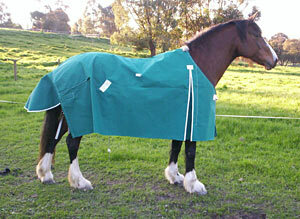 Lined with a good quality double sided woven felt as standard, However, genuine wool is available on request. 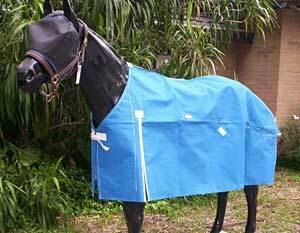 It comes with a 1 metre drop, with PVC Front fittings, wither protector, reinforced neck, polypropelene legstraps with strong stainless steel metal clips and d's, neck/hood d's, rump darts, and a generous tail flap. The name says it! it has 5 tearstop lines running both ways through a strong 18 oz polycotton canvas. Its not too heavy and not too light. 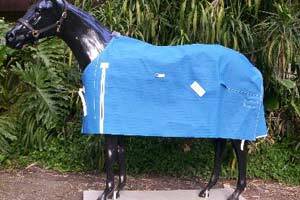 It comes in a blue canvas, with all of the standard Piaffe features including, Real Sheepskin wither protector, shoulder gussetts, neck / hood d's, woollen lining, PVC Legstraps, a very long drop and a generous tail flap. 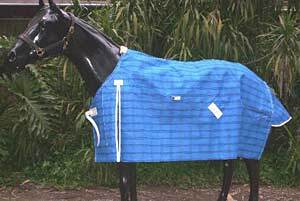 This is a very strong, heavy 18oz canvas called "Trojan"
This rug has all of the quality features that comes with a Piaffe Rug, Reinforced neck line, woollen lining, PVC Fittings, neck/hood d's, rump darts and a generous Tail flap. "Trojan" 18oz, Real Sheepskin wither protector, Full wool lining, PVC fittings all round, Shoulder Gussetts, Taffetta Shoulders, Huge pleated Tent tail flap. They are all standard lined with the "True Taffetta" lining designed to last and not wear away. 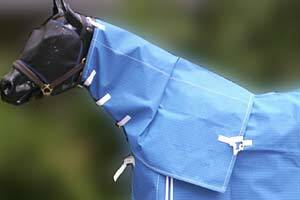 We use the standard webbing and safety quick release fittings, using metal clips to attatch to body rug. PVC strapping is available on request.